The plant which is located at the company’s facility in Sango-Ota, Ogun State is expected to meet the company’s needs with the remaining being sold to local multinationals such as beverage manufacturers, pharmaceutical companies and others. The firm noted that it has also received interest across the West African Coast including Ghana, Togo, Republic of Benin, Gabon, Senegal, Ivory Coast, Burkina Faso, Cameroon and others. Speaking recently during a facility tour with bank officials from First Bank Group, Arjan Mirchandani, chairman of Sona Group said that the multi-billion naira ethanol plant would be the largest in Africa as it will produce 120,000 litres of ethanol daily. He emphasized that beyond providing ethanol for its own use and other food and beverage manufacturers in the country, it will employ thousands of farmers whose farm produce such as sugarcane and cassava feed the plant as raw materials. 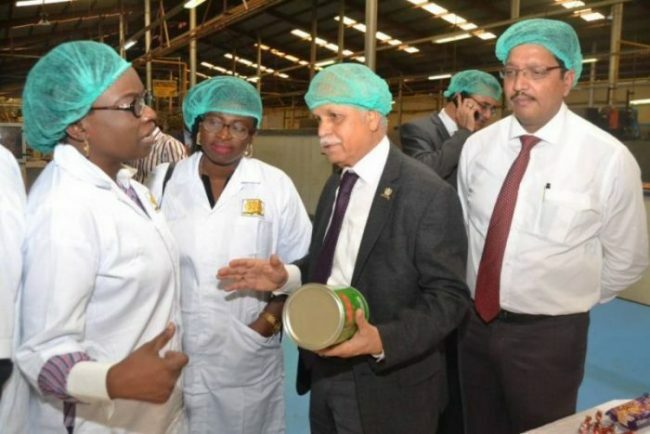 Mirchandani declared that his firm has received assurances from multi-national operators in the country who need ethanol for manufacturing to supply them when the plant is completed. Commenting on the soon-to-be-launched plant, Mr. Ajai Musaddi, Group Managing Director, Sona Group said, that one-third of the ethanol production would be used by the company for its own production, while two-thirds would be sold locally and exported to other African countries. “Apart from its investment in ethanol, Sona Group is also expanding its capacity across its subsidiaries. The group has made huge investments in human capacity development and, especially in modern technology as many of its operations are now fully automated. IS ETANOL PLANT TO BE BUILT IN MAKING MOVE TO BUILT THEIR PLANT IN IKOT ABASI L.G.A. IN AKWA IBOM STATE? We have large cassava farm ready for supply . Please can we deal with your company on that? please call me… I am ready to buiy your cassava or book. 08149060891. When are you starting clayring for contruction sir.